A WWII Veteran who dedicated years of service to the nation and was willing to serve a second time if necessary. 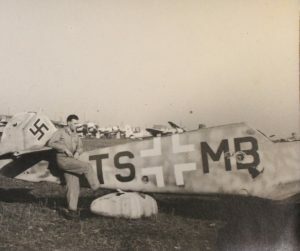 Bill Hadden was a Sergeant in the US Air Force (9th Air Force). 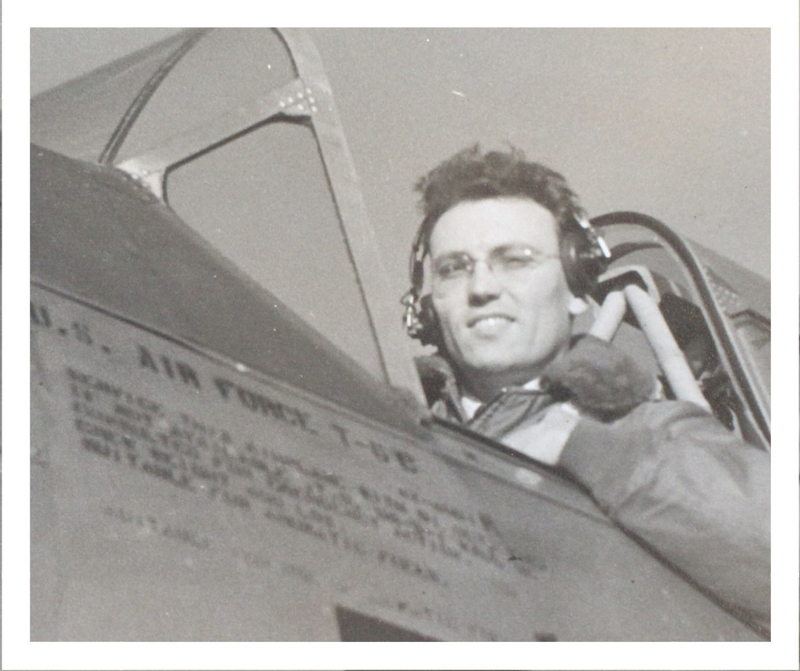 He served as B-26 Crew Chief and flew as a B-26 Flight Engineer during WWII. Bill was born in Belfast, Ireland and immigrated to the United States with his family when he was five years old. The Hadden family even endured the hardships of the Great Depression. Shortly before the attack on Pearl Harbor, Bill was drafted. 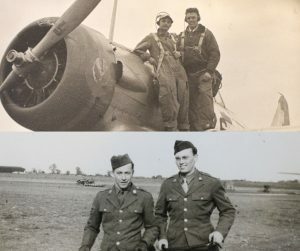 After his training, Bill volunteered to transfer to the Army Air Corps and served with the 344th Bombardment Group in Europe during the European occupation phase of WWII. He reflected his military service was “so wonderful, but so distasteful” due to the great loss of lives and injuries. He experienced a buzz bomb which landed nearby and many of his fellow soldiers died or were injured during the bombing. 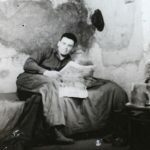 Image of Bill Hadden in the barracks. After the war ended he participated in the GI University Program and studied at the Sorbonne in Paris. While there, Bill was a member of the Army of Occupation in 1945 stationed at Sorbonne University. 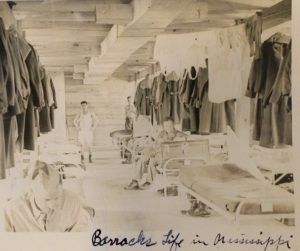 He studied the French language and civilization, and in November 1945, Bill returned to America and was released from active duty. Bill had a panache for learning and resumed his education at City College of NY where he obtained a degree in Mechanical Engineering. During this time, he remained in the Reserves and trained on B-26 and AT-6 aircraft at Mitchel Field, NY and became a licensed private pilot. Upon the outbreak of the Korean War, Bill was recalled to active duty and was ready to serve his country yet again. But prior to him reporting to duty, President Truman exempted some WWII veterans — Bill was included in the exemption. The new uniform he received was returned and he resumed his engineering career and married. Over the years he and his wife raised three children and relocated to Virginia. He now lives in Warrenton and enjoys sharing his life’s experiences. Bill suggested the younger generations should learn “agreement and cooperation is necessary to get any job done.” He said “getting along with people” is the key to success. 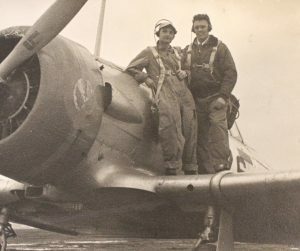 Bill was the recipient of service awards which included American Service Medal, European African Middle Eastern Service Medal, Good Conduct Medal, and the World War II Victory Medal. He served this nation for four years from November 1941 to November 1945, during which he served in the following battles or campaigns: American Theater; Air Offensive, Europe; Normandy; Northern France; Rhineland; Ardennes-Alsace; and Central Europe.